Peaceful and authentic place Lovely team very generous and always ready to help The beach is close and we can snorkeling and see the Dolphins easily. The holy hot water is really close to the guesthouse. 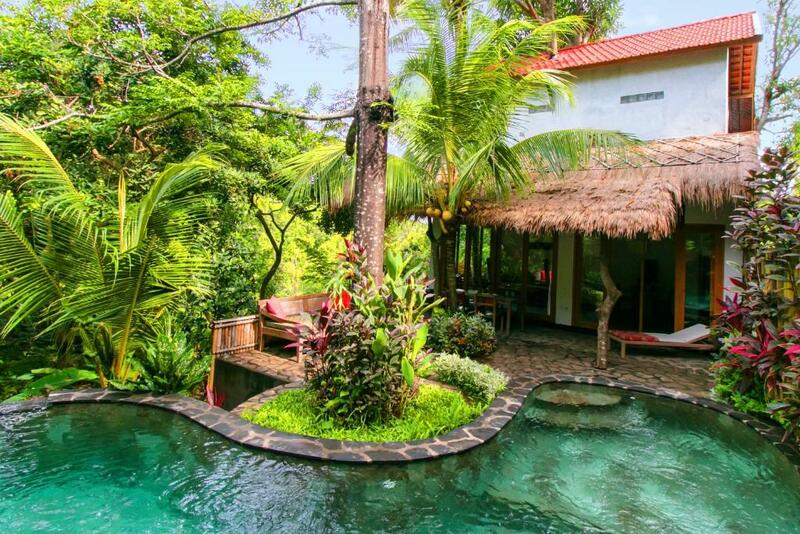 Beautiful villa, comfortable bed, 2 beautiful terraces with the view to luscious greenery, cute little pool. Trekking routes and hot wells accessible directly from the villa. 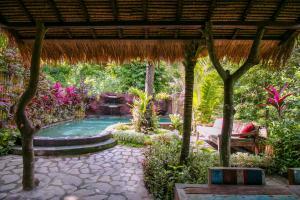 We had amazing 6 days in the Rumah Sumatra villa, It is a small hidden oasis. It dosen't matter that the villa is not located right to the beach, because there is good shuffle back and forth to Lovina and the staff are so helpful with everything. It's possible to take some good trips from their, you can go to the waterfalls, hot springs, a really beautiful temple and and of course the dolphin trip in the morning. We would go there again, Lovina is a nice and calm little city and there are not so many tourists. Komang cooked the most delicious veggie breakfasts and dinners for us, which we ate surrounded by the sounds of the forest and Buddhist temple drums. Zammin booked our tour easily and dropped us to the location with no problems at all, they couldn’t have been better hosts. The villa was secluded with a lovely pool and outside area all in a gorgeous garden. 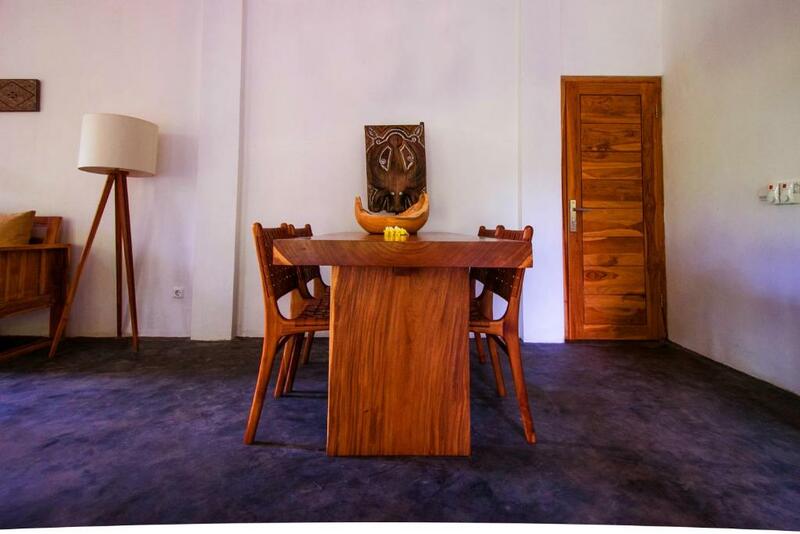 Pleasant villa to stay with a very cosy atmosphere and a beautiful garden. Excellent food. Diese (kleine) Anlage ist ein Traum, gelegen mitten im Urwald, weit weg vom touristischen Trubel im Süden. Wer auf der Suche nach etwas Ruhe und Privatsphäre ist, der ist hier genau richtig! Die Gastgeber sind sehr herzlich und kümmern sich wirklich um ihre Gäste. Komang, die Köchin berücksichtigt bei der Zubereitung der herrlichen indonesischen Küche sogar Allergien bzw. Unverträglichkeiten und kocht bei Bedarf z.B. glutenfrei. 3 dagen verbleven wij in Rumah Sumatra. Prachtig groot en comfortabel huis in een bijzonder mooie tuin met zwembad. Heel hartelijk ontvangst door super lieve mensen. Elke dag werd er ook heerlijk voor je gekookt. Iedereen stond ALTIJD voor je klaar. We voelden ons echt enorm welkom. 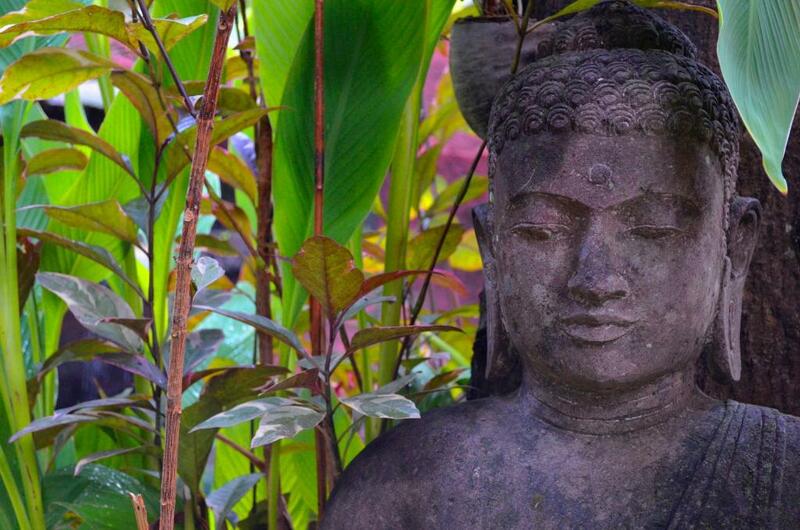 Wil je tot rust komen, hou je van natuur en wil je het authentieke Bali beleven dan kunnen we Indo Ruma Zengarden van harte aanbevelen. Wij zijn zeker van plan hier weer terug te komen. Lock in a great price for Indo Rumah Zengarden – rated 8.9 by recent guests! Indo Rumah Zengarden This rating is a reflection of how the property compares to the industry standard when it comes to price, facilities and services available. It's based on a self-evaluation by the property. Use this rating to help choose your stay! 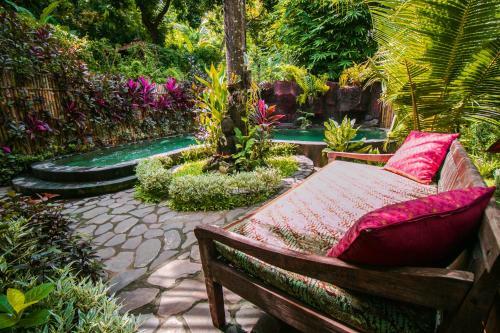 One of our top picks in Lovina.Located just a 5-minute drive from Lovina Beach, Indo Rumah Zengarden offers a beautiful all-inclusive hideaway with an outdoor swimming pool, free WiFi access in all areas of the property, and free shuttle service to the surrounding areas. This property is about 650 feet away from Brahma Vihara Arama Buddhist Monastery. Getting to Bali Denpasar International Airport will take around 3 hours by car. Each villa at Indo Rumah Zengarden is air-conditioned and fitted with a dining area, seating area with sofa, and a terrace overlooking the greenery. There are also a personal safe, and an private bathroom featuring shower or bath facility with free toiletries. Guests can enjoy a lazy afternoon sunbathing by the pool. Mini-bar is also available at additional charge. The staff at the 24-hour front desk can assist guests with arranging in-room massage and activities like snorkeling, diving, fishing, canoeing, and hiking that come with surcharges. Guests can also enjoy free daily housekeeping, and free on-site parking. 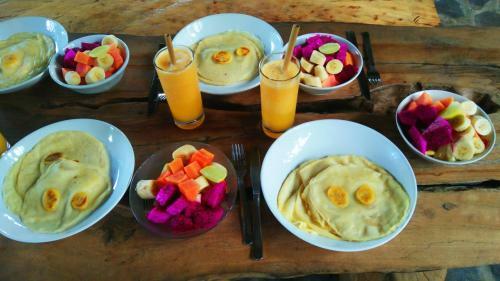 As for dining option, all meals are inclusive in the rate which includes breakfast, lunch, and dinner featuring Indonesian and Western dishes. 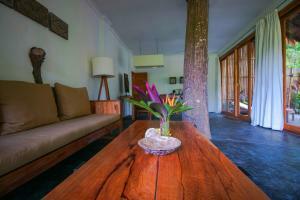 When would you like to stay at Indo Rumah Zengarden? This spacious and all-inclusive 2-bedroom villa features its own outdoor private pool. There is a separate living area with sofa, and a dining room. The rooms are are air-conditioned and the master bedroom is fitted with canopied bed. There is a wardrobe and an private bathroom featuring shower or bath facility with free toiletries. A refrigerated mini-bar is also available. Guests can enjoy a lazy afternoon sun bathing by the pool or catching up on readings at the terrace which overlooks the lush greenery. This spacious and all-inclusive 2-bedroom villa features its own outdoor private pool. There is a separate living area with sofa, and a dining room. The master bedroom is air-conditioned and fitted with canopied bed. There is also a wardrobe, and an private bathroom featuring shower or bath facility with free toiletries. A refrigerated mini-bar is also available. Guests can enjoy a lazy afternoon sun bathing by the pool or catching up on readings at the terrace which overlooks the lush greenery and ocean. We have an amazing small resort in the middle of the jungle with an ocean view, run by 3 local family's. It's a magical place. 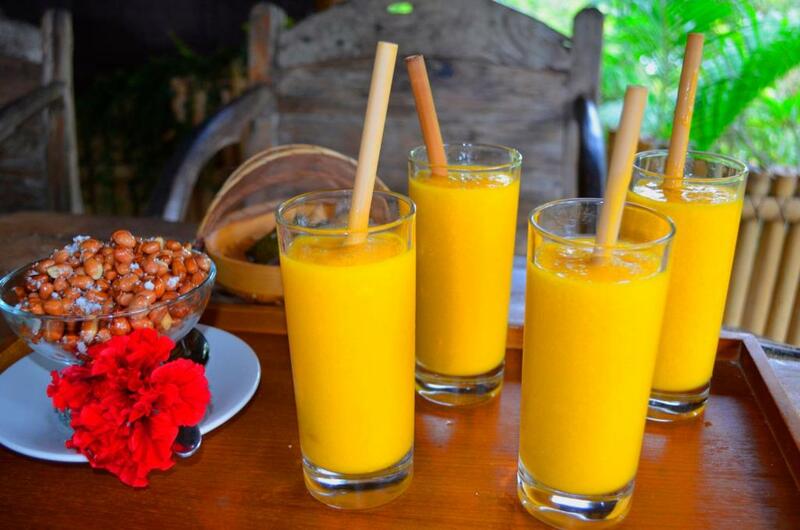 “Indo Rumah Zengarden” is meant for people who are looking for the authentic Bali and want to experience what it is like to celebrate holiday in peace and comfort while in the finest part off Bali. We combine tranquility, luxury, relaxation and discovery in two beautiful luxury villas and a wonderful environment to ensure an overwhelming experience. Hi all! I'm Kim, married with the best guy ever and together we have a beautiful son. 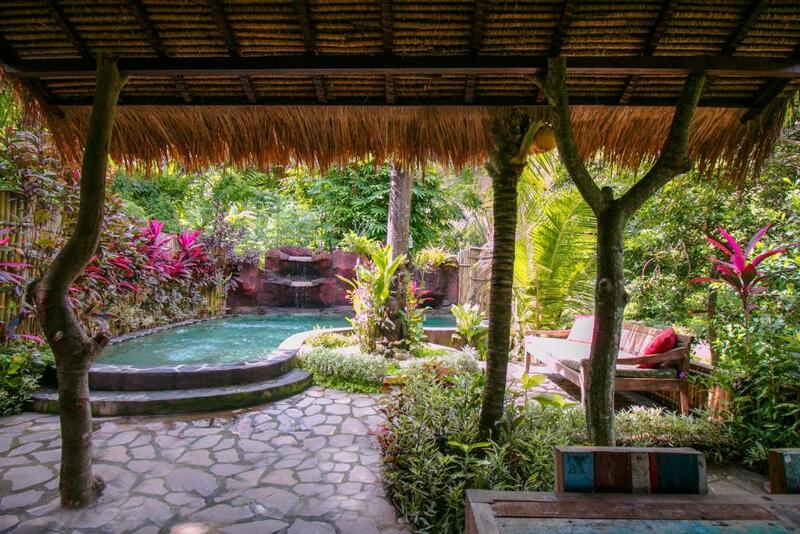 With renting this villa's you support our foundation called Bali Power. Thank you for this. 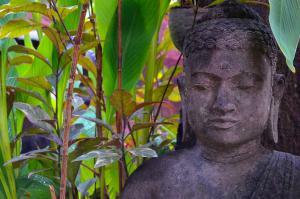 “Indo Rumah Zengarden” is located in an environment that needs to be discovered! Our guide will take you on one of the many walks that are possible and will amaze you by the natural beauty and will ensure that all your senses are stimulated. Beside the more known landmarks such as the “Buddhist temple” and “the hot springs”, there are other places that are worth visiting beautiful blue rivers and streams run through the green rice fields there are beautiful views of the Indian ocean and the high mountains with light and dark green forests. Lovina is located 10min from “Indo Rumah Zengarden” and offers nice restaurants and cozy cafes. House Rules Indo Rumah Zengarden takes special requests – add in the next step! One child under 6 years is charged IDR 400000 per night in an extra bed. One older child or adult is charged IDR 800000 per night in an extra bed. Please note that this property is an all-inclusive property. All room rates include daily 3-times meal, free laundry per villa per night, daily housekeeping, snacks and coffee. Please note that the property requires a deposit payment. Guests need to pay the deposit within 14 days after their booking date. The property's staff will contact guests directly for payment instructions. Please inform Indo Rumah Zengarden of your expected arrival time in advance. You can use the Special Requests box when booking, or contact the property directly using the contact details in your confirmation. The location is not good for walking around, the beach is 15 minute drive, the road to the beach is very bad, the shops around the villa don’t have any fresh fruits, no restaurants in walking distance. In addition, there were works next to our villa - apparently they are building a new trekking path. Although it is great that the area around the property will get new content, it is not acceptable that this starts each morning at 8 am (in high season when the prices are the highest). The guests should be warned in advance that it will be noisy and given a choice to either choose different property, or get a discount or sth like that. The noise wouldn’t be such a problem if the property wasn’t called Zengarden and selling peaceful and quiet retreat spot as it’s key selling point. If you're looking to be in town with a lot going on, this isn't the place for you. It is a relaxing place that offers outings you can take during the day and then go back to hang out and enjoy the villa. I did not like the bathroom that could be built outside (much cuter) and maybe the noisy bed. Bedroom and bathroom of our villa was a bit small. Next time I would book the larger villa which is very beautiful.